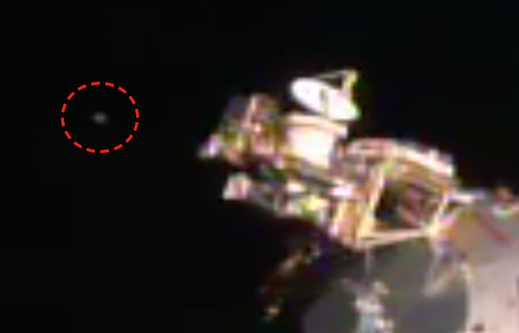 UFO SIGHTINGS DAILY: UFO Matches Speed With Space Station, Follows For Long Time, June 23, 2016, Photos, UFO Sighting News. 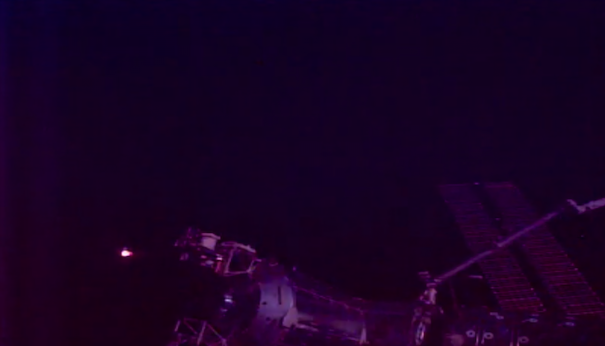 UFO Matches Speed With Space Station, Follows For Long Time, June 23, 2016, Photos, UFO Sighting News. 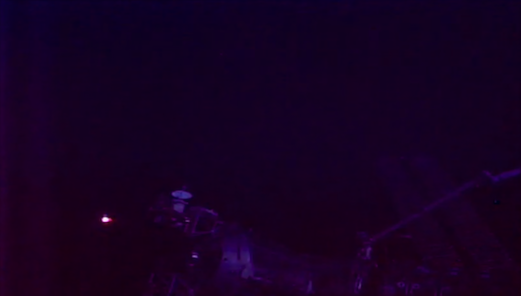 This was sent into us here at UFO Sightings Daily reports and someone that wants to remain anonymous caught a UFO on the live Internet space station cam. 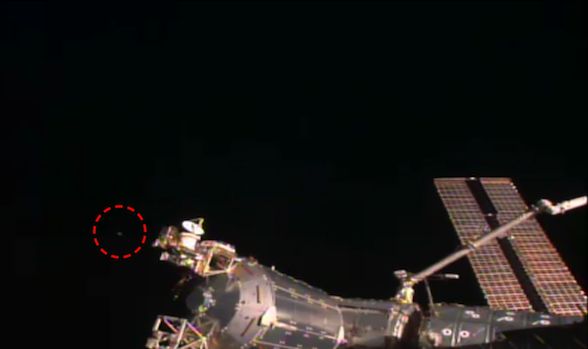 The UFO was following the space station as it was on the day side of the earth and even followed it into the night side, as you see below. Excellent find by one of our readers here and thank you so much for sending it in to us. This has to be a UFO. I love how they lay back and observe from a distance, but try to go unnoticed.